This sleepy duck measures 3 1/2 inch high x 12 inch long. 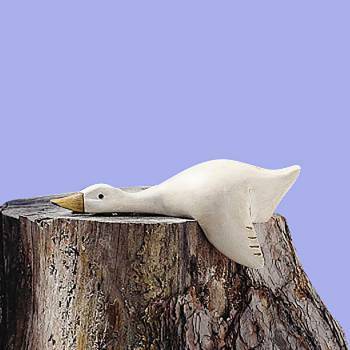 Wood White Sleepy Duck Decoy 3 1/2 in. W x 12 in. L. Hand carved and hand painted in Canada. 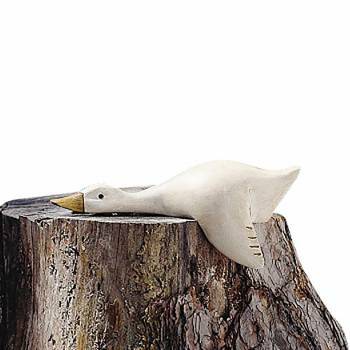 This sleepy duck measures 3 1/2 inch high x 12 inch long. It is handcrafted with a wing that hangs over the shelf edge.